When you search for a hotel in Lucca you will immediately notice the excellent reviews provided by customers. In the city there are more than 130 available accommodation and very few received negative reviews. For this reason, choosing a hotel in Lucca is just a question of price, because the historical centre closed between the mighty walls is all at your fingertips. Among Tuscany’s cities of art, Lucca is perhaps one of the most fascinating precisely because it is entirely enclosed within a wall which until a few years ago was traveled by car. Nowadays it’s a pedestrian zone, a beautiful walk of over 4 Km, perfect for an early morning jog. 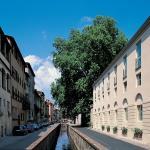 From any 2 and 3 star hotels in central Lucca you can reach the main tourist attractions of the city in a few minutes. As the Romanesque cathedral of the 12th century, the church of San Michele in Foro on the homonymous square, the charming Piazza dell’Anfiteatro with bars and restaurants, Palazzo Pfanner (1660) surrounded by gardens and fountains, and of course the Clock Tower, one of the 130 towers found in the city: the tower is linked to legends about sold souls and promptly collected by the Devil. 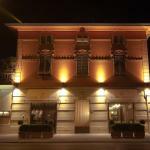 There are many luxury hotels in Lucca city centre. 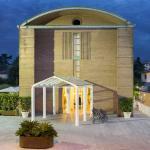 Albergo Celide is a business hotel near Lucca station with meeting rooms, a spa and rooftop terrace. 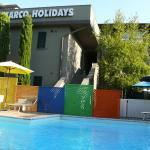 Hotel Ilaria, 4 star hotel in Lucca city centre offers classically furnished rooms, garden with Jacuzzi tub, suites on multiple levels and bicycles for guests' use. A couple of kilometers away from the historical centre, in the surroundings of Lucca, other luxury hotels are available for tourists such as Villa La Principessa, a charming hotel with swimming pool, or the modern Eurostars Toscana, close to Lucca fairgrounds and the highway exits, which features a gym, sauna and Turkish bath. 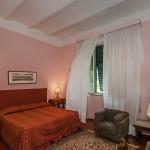 Bed & Breakfast and 2 star hotels make up the budget hotels in Lucca. These include Hotel Diana, 2-star hotel near the Duomo of San Martino, which provides a shuttle service and rooms with Wi-Fi in the lobby. 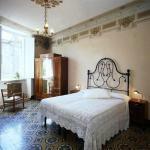 The Bed and Breakfast Antica Corte dei Principi, in the city centre, instead, features interior and furnishings in Renaissance style. A peculiar location for a stay immersed in history.